Recently the Long Painting Company office in Vancouver, Washington hired Miguel Ayala. Miguel has worked in the painting industry for 10 years. He started his career as an apprentice painter working in residential painting. As his skills evolved, he moved into industrial painting management. 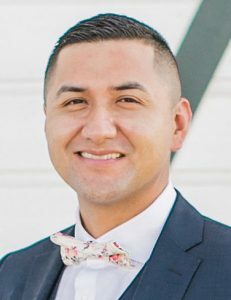 Miguel started as a Project Assistant then moved into a Superintendent role and eventually became a Project Manager. Through the years, he has evolved in both skills and knowledge by being exposed to a variety of projects. In his personal time, he enjoys trying new recipes on his Traeger grill while sipping on local brews, indulging in new cuisines, and visiting trendy eateries. In addition, Miguel enjoys traveling with his family exploring new countries. Recent trips have included China, the Bahamas, and Canada. He also enjoys spending time at the park or bike riding with his 7-year-old daughter. Miguel is counting down the days for the birth of his first son due in mid-July. Take the time to stop by his office, introduce yourself, and give him a warm LPC welcome.